Does an employer’s refusal to postpone a disciplinary hearing due to the unavailability of the employee’s trade union representative make the dismissal unfair? Mrs Smith, was employed by Talon Engineering for over 21 years before her summary dismissal for gross misconduct. She was invited to a disciplinary hearing, which had to be postponed for three weeks due to annual leave and sickness absence. Unfortunately, Mrs Smith’s union representative was unavailable for the rescheduled hearing for a further two weeks. The disciplinary hearing went ahead without both Mrs Smith and her union representative. A decision was reached to summarily dismiss her. This decision was upheld on appeal. Mrs Smith brought a claim for unfair dismissal. She won on the grounds that the employer should have allowed a further postponement. The case went to the Employment Appeal Tribunal (EAT). The EAT dismissed the employer’s appeal and confirmed that whilst a breach of the right under section 10 would almost certainly result in a finding of unfair dismissal. The unavailability of the trade union representative for a period of more than five working days does not mean that an employer is entitled to proceed with the disciplinary hearing in the absence of the employee. The tribunal was entitled to conclude that it was unreasonable for the respondent not to postpone the hearing for a further short period of time. The case highlights the potential risk for employers in deciding to proceed with a disciplinary hearing where a chosen representative is not available, even if this is for more than the five days permitted under section 10 Employment Relations Act 1999. Whilst a decision to proceed will mean there is no breach of the statutory right to be accompanied, a decision to dismiss may still be regarded as unfair. In this case, the tribunal considered dismissal in the employee’s absence to be a gross overreaction on the part of the employer especially considering her 21 years of unblemished service. 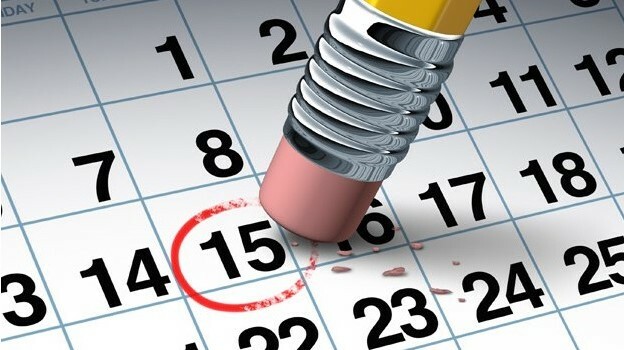 Employers should always consider a request for a postponement of a disciplinary hearing on its merits, even if it is for a period of more than five days. You can read more about disciplinary procedures here.